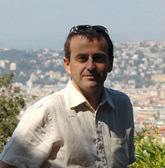 POC Factory is an initiative of Stephane Monteil, a former senior architect and consultant at Capgemini and Microsoft. POC Factory is based on a network of high-tech companies and passionate people that bring together a wide range of skills, from business analysis to software design, coding, deployment and hosting. Our main values involve a strong commitment to the quality of our work and an open and constructive attitude.